Every once in a while, a blogger has an idea that he or she would like to be true. Some of these thoughts remain unexpressed because one knows that there is insufficient evidence to argue for the existence of Sasquatch or of dinosaurs alive in Africa. * Sometimes, a blogger can’t help oneself and tries to push the evidence farther than it can go. And, really, this is what we expect of blogs, right? Well, I think bloggers should hold themselves to the same standards of truthfulness and accuracy that other writers do, whether journalists or academics. This doesn’t mean always being as rigorous about hunting down proper citations or always waiting to be a proper expert, but it does mean a certain amount of care, thoughtfulness, and caution. Because, whether you’re blogging about video games or about race in American cinema or about Christian history or about Mormons — or whether you write professional in more formal fora on those subjects — what you are hopefully seeking to express is, in fact, the truth. Seeking to unpack it, whether from obscurity or obfuscation or empty rhetoric or confusion or whatever. Alas, not up to your usual standards. Syncretism generally avoided clashes between religions. Actions against some religions, like the Bacchanalians, were on social grounds, not religious. The Jews they generally tolerated, although every once in a while there were isolated bouts of exile or public violence against them. Actions against Christians arose, first, because they were a new religion, which was an oxymoron for everyone in the ancient world, and failed to participate in public cult (Rome insisted that everyone except the Jews participate in public cult to preserve the Pax deorum, which is really crossing the line from religion to politics and governance) and later it was for their intransigence, and their wealth, which have nothing to do with religion, per se. By the third quarter of the third century they had generally been accept into society. The Great Persecution was an anomalous rear-guard action to fight a war that had already been lost. Manichaeans everyone hated, but there weren’t that many of them and the Romans really don’t seem to have understood them, so for the most part they seem to have been the Roman version of ‘Commies’ that people were finding under every bed. I’m not sure how much really had to do with religion per se as it did with politics (the popes, like Leo, took up the hunt for Manichaeans after the emperors had given it up, and always seemed to find them when things got slow). Christians, on the other hand, in their zeal for uniformity, right from the beginning certainly precipitated and endured more internal and strictly religious conflict that any polytheistic groups, who never argued about the meaning of their god(s) or religious observances in the way Christians did. It would be surprising to find any society suffered no religious conflict, but when you consider the enormous religious diversity of the Roman empire and the fact that we are talking about a period of, say, 500 or 600 years, the empire’s official tolerance toward just about every religion and its general lack of religious conflict is indeed an amazing, though by no means perfect, model that the modern world would do well to imitate. Sadly for my last post, all true. Part of me wonders if intermittent persecutions of Christians might not have continued after Diocletian, but we’ll never know. I do know that intermittent persecutions of Christians and other minorities have been an occasional aspect of Indian/Hindu history, but — again — uncommon. And the Hindus, like the Romans, have not been 100% all for persecution for all time. This fact, to turn back to the Romans, is a fact to be considered. When we hear, ‘Persecution of Christians in the Roman Empire,’ we imagine that from Nero to Diocletian, every Christian everywhere feared for his or her life and was completely barred from normal public life, hiding in catacombs amongst the corpses of martyrs. But, in fact, persecution was an intermittent affair for the first three centuries of Christian life, and not all of it was state-sponsored — the martyrs of Lyon were victims of mob violence, if you read the text closely enough. And when persecution was state-sponsored, its enforcement was not uniform, anyway — like any government policy, especially in the ancient world. And what it involved also varied — not necessarily death. All religious persecution in the Roman world had a social and political element to it, whether Bacchanalians in 186 BC, or the various times Jews were kicked out of Rome, or the different persecutions of Christians, or the universal distaste the Mediterranean authorities had for Manichaeism. How does the Christian empire compare to the polytheists? In this regard, Christian rulers have not compared favourably to Roman polytheists/syncretists/’pagans’. This is why Anabaptist groups and Quakers have distanced themselves from state churches — this is why state churches did their best to prove Anabaptists and Quakers right by persecuting them. The problem, as I see it, is this: Most people in the ancient world imagined that the right rites meant political success. If they didn’t actually believe it, they would at least act like it. When Constantine and his successors converted to Christianity (and, regardless of any ‘failures’ in belief and policy, I believe Constantine’s conversion was genuine), it became important for the Empire to gradually adopt Christian rites because otherwise God would be angry, and then all hell would break loose. (Maybe literally, maybe not.) As a result of this, the tables were turned on the polytheists. Christianity has demonstrated itself to not be quite as well organised as most of us would like. We have the proto-orthodox, represented by Irenaeus, reacting with alarm at ‘Gnostic’-type groups who are seeking to separate themselves in some fashion as the true spiritual elite. But, worse than out-and-out heretics, that is, groups who use the name Christian but have very widely divergent visions of what that means from each other and what comes to be official orthodoxy, is schism. Novatianists are perfectly orthodox — Novatian’s writings on the Trinity are recommended reading. Donatists are also a problem. We are busy excommunicating each other and deposing bishops and things long before 312, see. When you combine this tendency towards intra-ecclesiastical regulation of belief and cult with the idea that the government has to make sure the rites are right, it’s a dangerous situation for those of divergent views. This, at least, is my theory why Christians persecuted not just pagans and Jews but heretics and schismatics — thus regulating belief so much more closely than did the polytheists. The empire’s official tolerance toward just about every religion and its general lack of religious conflict is indeed an amazing, though by no means perfect, model that the modern world would do well to imitate. I think that love is the best way to bring people around to true conversion to orthodox Christianity, whether they are Mormons or ‘pagans’. I am also thoroughly supernaturalist in worldview so that I think true conversion is a matter of God’s activity in a person anyway. For these related reasons, I don’t think the church should force conformity on people outside (I also think there is a wide range of things upon which we within needn’t conform, either). Anyway, I was wrong. Mea culpa. We should all think on the tolerant attitude of Romans towards those who worship and think differently — an attitude that in personal relations certainly had room for debate, so don’t worry about that! *But, seriously, who doesn’t want that to be true? This is the final post in a series on the messy reality of church history after Constantine wherein I have tackled both those who decry ‘Constantinianism’ for ‘polluting’ a ‘pure’ church and those who believe the conversion of Constantine was the greatest thing ever to happen. The other posts are listed at the bottom of this one. And what, after all this, do I think about church life after Constantine? I think that relations between the Church/Christianity and the secular government have always, before Constantine and after, a mixture of pleasures and pains. Legal existence and imperial favour are not always bad things! Christians could now meet freely and evangelise freely. They could expand the houses-turned-churches. They could publically build more purpose-built houses of worship (meeting in houses isn’t some sort of pristine vision for Christianity but a necessity for the persecuted). Christians could now more easily pursue careers in the public service. Sure, this sometimes meant compromise. But it also sometimes meant finally giving Roman government a conscience when it came to things like disaster relief and aid for the poor (beyond Rome’s pomerium). Indeed, giving government something of a conscience is probably one of the greatest benefits of the cozy relationship Christians now had with Rome and, later, her successor states and other non-Roman Christian polities throughout history. Christians with access to persons of power, who sometimes were persons of power, and access to wealth could provide their nations with hospitals and houses for the poor and lepers. Because the monastic movement in all Christian societies had some level of official sanction by the Early Middle Ages (if not earlier), monasteries/lavrae/hermitages/priories/anchorholds became alternative ways of living beyond the secular world of warrior masculinity and domestic feminity, of survival for the poor beyond subsistence farming, of, indeed, places for the otherwise voiceless to be heard — think of the monastic women such as St Hildegard von Bingen who had the ear of powerful men or male monastics of humble origin such as St Bonaventure. The monastic movement was also a legitimised counterculture for young men otherwise destined for earthly power and glory, such as St Francis of Assisi. Another source of great fecundity in the relationship between the imperia and the church was artistic culture. 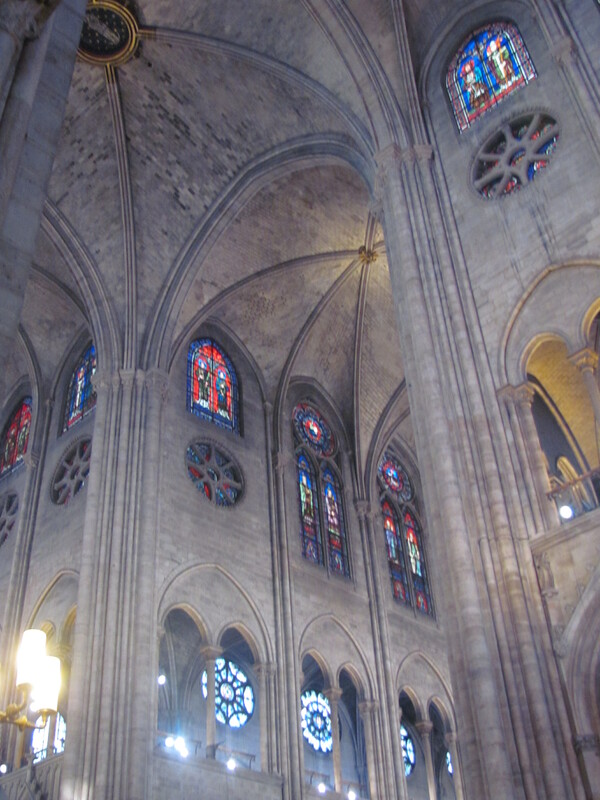 I cannot stand in Notre-Dame de Paris or St-Denis or Milan’s Duomo or Sant’Ambrogio in Milan or St Paul’s in London or Glasgow Cathedral and say, ‘What a shame the Church teamed up with the secular powers in the Middle Ages and Renaissance.’ This legimation of Christianity in secular eyes has meant the preservation of our faith’s art. I am, as I write, listening to St Hildegard’s music; could this beauty have survived so intact if produced by a hounded, persecuted minority? My research literally delves into the world of the mediaeval book. Canon law tomes are not, it is to be admitted, the most beautiful. But I wouldn’t want to live in a world where the Kingdom of Northumbria did not foster monasticism to allow the Lindisfarne Gospels, or the Kingdom of the Picts likewise with Iona and the Book of Kells, or the Carolingians likewise and the over 7000 manuscripts that exist from their century and a half, two centuries, alone — most of them driven by the desire of the Carolingian monarchs to reform their society and church around the Christian Gospel. Think: Michelangelo. El Greco. Hieronymous Bosch. Da Vinci. Fra Angelico. Pre-Raphaelites. Raphael. Bernini. 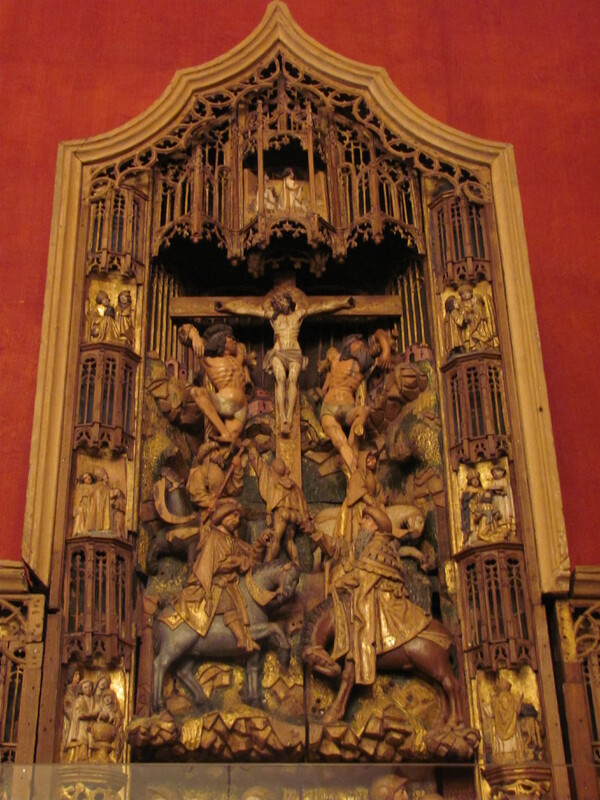 Or: Late mediaeval Flemish altarpieces. Stained glass. San Vitale’s mosaics. A lot of Christian writings would not have survived, if they’d even been written. What would we do without the City of God? Dante’s Divine Comedy? What if Pseudo-Dionysius’ works had all perished? Life without John Donne? Would someone like Gregory Palamas, so dense and hard to comprehend, have made the cut? Would Bernard of Clairvaux have gone into religious life with no monasteries for third sons? No Bede? Without Constantine (or someone like him) — none of this culture. That would be a lesser world, wouldn’t it? There have been pleasures and benefits for Christianity and the imperium, real, substantive benefits. We cannot deny this. But befriending the Emperor is kind of like befriending Two Face, isn’t it? For example, I’m in favour of St Boniface’s evangelising zeal. The early Carolingians supported his mission to bring Gospel and order to what is now Germany. 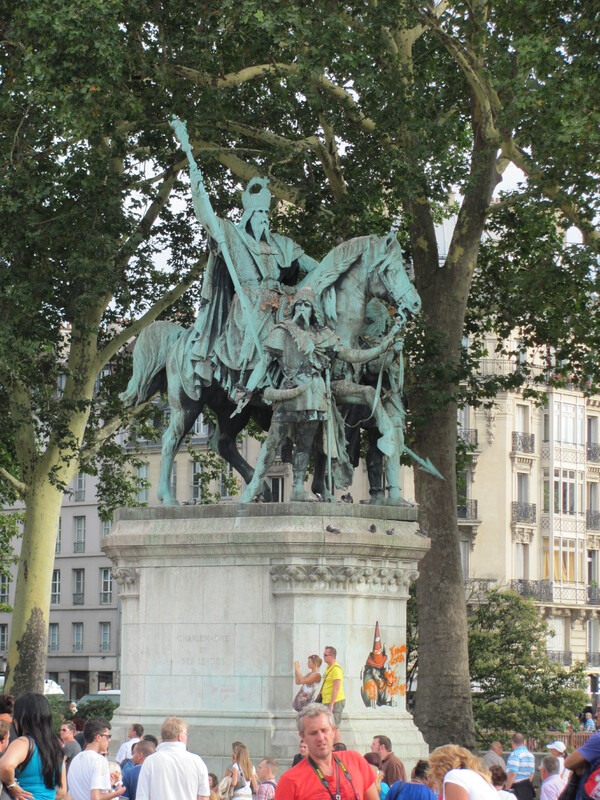 But Charlemagne’s version of mission involved the forced conversion of Saxons whose options were baptism or death. In Notker’s Life of Charlemagne we read of how Charlemagne induced Danish Vikings to get baptised by giving them gifts. One year, so many came they didn’t have enough white baptismal robes, and one Viking complained that his robe was shabbier than the one he’d got the year before! He protested the Charlemagne was getting stingy. What does baptism even mean to that Viking or to the Saxons bathing before the Frankish sword? Charlemagne is not the only ruler to evangelise by the sword. Both King Olaf Tryggvason (d. 1000) and King St Olaf Haraldsson (d. 1030) used this method to evangelise Norway. And, if Njal’s Saga has anything to say, the Olaf-sponsored missionary Thangbrand was not afraid of using violence to promote Christianity in Iceland. It is said that in Latvia when the king converted he had everyone get baptised. They all went down to the river the next day to wash off their baptism. The Christianisation of Europe, which brought with it a connection between the cultures of the North (from Iceland and Ireland to Estonia and Latvia to Russia) and the cultures of the classical Mediterranean, certainly tamed some aspects of life, although sometimes I wonder of some of the toning down of harsh aspects of law had more to do with Rome than with Jesus. Mind you, sometimes Roman punishments and practices of law continued that Christians should have left behind, such as when Maximus the Confessor had his tongue cut out for espousing theology contrary to the imperial vision. The Christianisation of Europe got a lot of people baptised. And many were sincere. 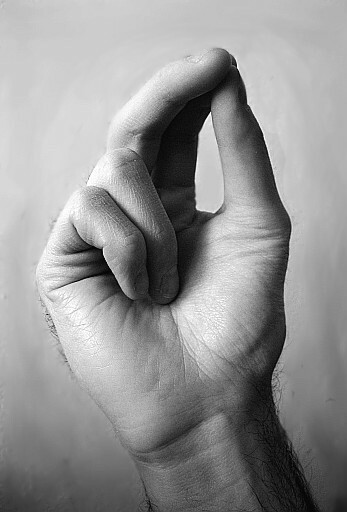 But that was faith a mile wide and an inch deep. If these men were truly, deeply Christian, why did the Pope need to keep making up reasons to keep French nobility from killing each other? Why do Icelandic men keep the cycle of revenge, feud, honour killings, and the like after the conversion of the island in 1000? Why do people complain over and over and over again about the unholy, sinful behaviour of those on pilgrimage? Finally, another problem arises when Europe starts meeting new people. The first priest in Canada is said to have uttered, ‘First these savages must be civilized, then they will be ready to receive the Gospel.’ An attitude that was hard to shake — for if everyone in Europe is a ‘Christian’, where does European end and Christian begin? In conclusion, however, I would like to state that God gigantic. He is bigger than Constantine, bigger than Quakers, bigger than Anglicanism, bigger than Charlemagne, bigger than bad missionaries, bigger than Gregory Palamas, bigger than the Great Schism, bigger than the Reformation, bigger than Icelandic sagas, bigger than everything good or bad the Church has done throughout history. No matter how corrupt the institutions of the Church have become, and it has happened at different times and different places, God has remained faithful. And there have always been faithful Christians who are part of that Church, quietly going about holy lives or vivaciously calling for reform, whether Caesarius in 520, Boniface in 720, Francis in 1220, or Luther in 1520. Part One is here. Part 2a is about the Late Antique targets for the regularisation of official orthodoxy; Part 2b is about the mediaeval targets. Part 3 is about the orthodox targets of official Christianity. Part 4 is about the Inquisition. I also wrote an excursus on the Synod of Whitby in 664. So, who are the groups and persons whom the mediaeval church targeted? The Middle Ages are, after all, when we imagine the hard, vice-like grip of power by the papacy and its goons to really come down on worship and belief. Who are their victims? I have to admit that this is a much longer period than Late Antiquity, and I am less well-acquainted with it. However, here are some of the many groups and persons the mediaeval ecclesiastical hierarchy targeted. Is any of them the Underground Church? Cathars/Albigensians. The Cathars were hailed in something I read (I forget what) as ‘the first Protestants’. I have a number of problems of trying to call a whole host of pre-Luther people ‘Protestant’, not least of which is the fact that the Cathars are, in fact, actual heretics, and not a reform movement. Their teaching is not unlike that of the Manichees. Indeed, experiments in dualism of one sort or other are an ongoing temptation in for adherents of the Christian faith. Berengar of Tours and eucharistic controversies. I bring up Berengar of Tours (late 10th century) to make it clear the breadth of people who could fall under the hierarchy’s censure. In this case, an esteemed theologian who, while believing in the Real Presence, did not believe in a change of substance. For this, he got in trouble. He is not the only one. To see champions of differing views of the Eucharist as the Underground Church or Proto-Protestants is, nevertheless, problematic — they may have disagreed with the official organs of the Church over this issue, but were ‘Catholic’ in all other respects. Peter Abelard (1079-1142) was, besides being lover of Heloise of father of Astrolabe (actual name of their son), a controversial philosophical theologian. I, personally, doubt Abelard was ever a real heretic, but his cleverness and eloquence and outspokenness got him in trouble as he sought to reconcile philosophical concepts and theological truths. Although some of his teachings were condemned, overall, I think Abelard was more of a dangerous thinker who danced too close to the edge of the boundaries of orthodoxy. Peter Waldo (1140-1218) and the Waldensians. Waldo and the Waldensians were a group of people who believed in lay preaching, voluntary poverty, and strict Biblicism, as well as championing the vernacular Bible. Although they were condemned and excommunicated, their willing visit to the Pope reminds us that most of these movements, even when they espoused ideas compatible with much modern Protestantism, were more than willing to operate within existing church structures. Joachim of Fiore and the Spiritual Franciscans. If you like your Christianity heavily sprinkled with apocalypticism, then Cistercian Joachim of Fiore (1135-1202) and the Spiritual Franciscans who are sort of a 13th-century successor movment are the people for you. Joachim was regarded as a prophet in his own lifetime. That we’re all still here proves him a false one. Wycliffe and the Lollards. If anyone has been hailed as a Proto-Protestant in Anglophone literature, it has been John Wycliffe (1328-1384). Wycliffe lived and died a son of the church, although his promotion of lay preaching and vernacular Bibles puts him in a similar camp as Waldo. He and the spiritual movement inspired by him, the Lollards, were condemned as heretics at a church council. I can’t find the docs right now, but much of what he was condemned for was to be taken up by many Reformers. Note, however, that he was no congregationalist! 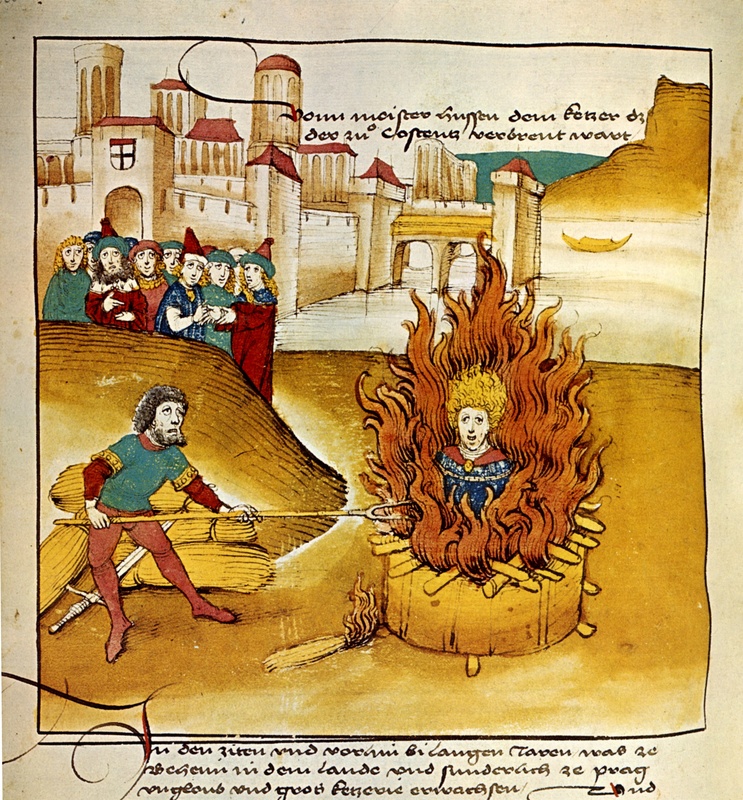 Jan Hus (1369-1415). If you’re ever guaranteed safe passage to Constance, Germany, by a friendly-looking papal representative, run the other way. At least, if your name is Jan Hus, the outspoken Bohemian follower of Wycliffe’s teachings who found himself executed at the Council of Constance for heresy. I think one of the things that typifies the only people here whom most Protestants would sympathise with — Waldo, Wycliffe, Hus — is that they were not Underground or parallel or congregationalist or any sort of modern Free Church-style adherent. They were trying to reform the Church into which they were born, from within, and would probably appeal more to Anglicans and Lutherans than to Baptists, Quakers, and Mennonites. That sums up my brief, whirlwind tour of this issue up the modern age. Although I, personally, do not believe in the use of force (to be dealt with soon), I do not believe that there was an ‘Underground Church’ hiding away from Constantine’s conversion until the Reformation when it sprang into view with the Radical Reformation. And if we follow the Trail of Blood that marks the groups and persons targeted by the Church, they are either full-blown heretics or bear little resemblance to modern evangelicals. Part three: Orthodox victims of imperial/secular governmental activity besides Athanasius. Part four: Also, the Inquisition (Spanish and otherwise; did you expect that?). And thoughts on ecclesiastical-governmental relations at large. 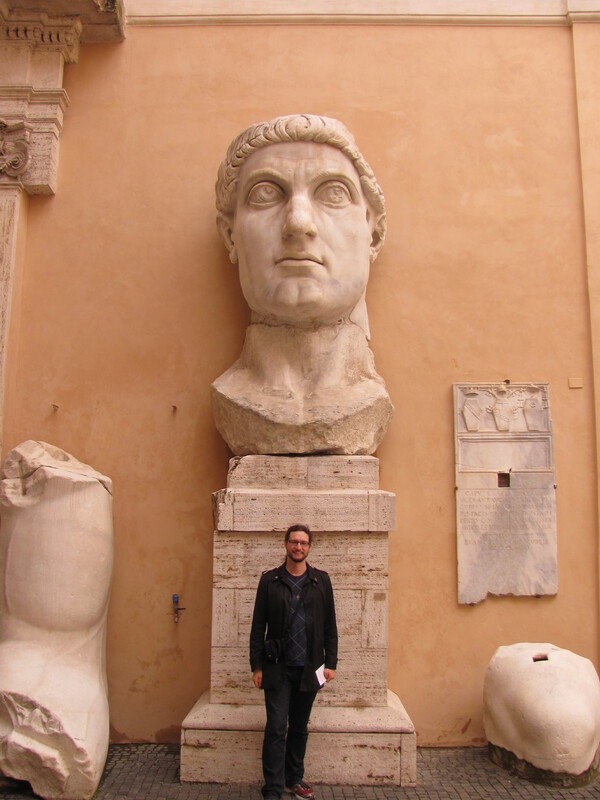 Church history after Constantine is a messier affair than many would like to believe. On the one hand, there is something of a triumphalist reading that makes Constantine a saint and the triumph of the Church a Good Thing that brought great benefit to Christ’s people. This view is pretty quickly weakened by discovering the activity of the emperors who supported theology and legislation contrary to the Triumphant Church’s interests. The other view, one raised by Jnana in the comments on my last post, is the idea that the True Believers went underground after Constantine, and (at least in the version I’ve heard) all we need to do to find them is follow the trail of blood left by the activities of the Catholic/Orthodox Church up to the Reformation. The best discussion of this view that I’ve read is by Baptist scholar D H Williams in Evangelicals and Tradition; it is popular amongst Anabaptists, Quakers, and low evangelicals such as Baptists, many of whom trace their spiritual heritage to movements of the radical Reformation who were persecuted by both Roman Catholics and the national churches of the magisterial Reformation such as Anglicans or Lutherans. Neither of these views is entirely wrong. I shall address in this series of posts the second view, although in addressing it, I believe the first shall receive some refutation as well. For a methodological point, I shall use the traditional/common English names for all of the groups discussed, even if some of them presuppose later developments or were never used by their own adherents. What are the activities the post-Constantinian church engaged in that the believers of this persecution view are thinking upon? Obviously, persecution. The driving out of their churches of people with divergent views. At times, the use of violence against them. My first point, then, is Paul of Samosata. Paul of Samosata was a Monarchianist in the 200s (that is, well before Constantine), and the people of his local church as well as a council of bishops deposed him for heresy. I bring him up because this sort of activity against bishops on trial for heresy is exactly the sort of thing Constantine was accused of introducing. I argue that this is the sort of thing the church would have been up to, anyway. What imperial favour did was enable them to do it in a much more organised way and with better resources. Excommunication and deposition of clerics is not a Constantinian development. 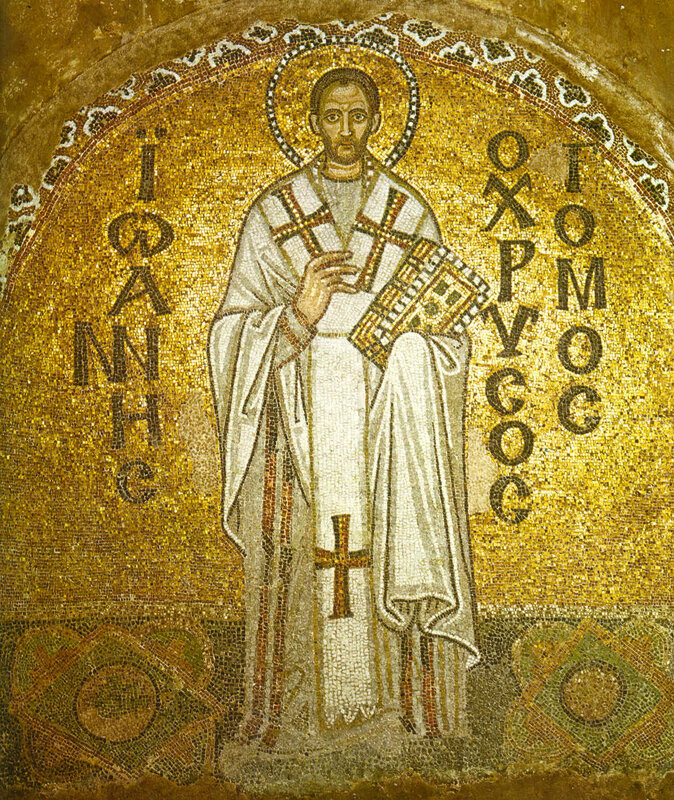 Furthermore, when we take Paul of Samosata in conjunction with the Gnostics, we realise that there were boundaries of orthodoxy before Constantine, even if the precise definitions of Nicaea were not yet hashed out. Irenaeus of Lyons’ book about Gnosticism is called Against the Heresies; people were concerned about what sort of doctrine was being taught to the members of the church and were trying to make sure that only pure Gospel truth was on tap — I imagine that Gnostic circles would have been up to much the same; to my knowledge, we have insufficient evidence on that point. The Gnostics are my second point. If the church in the fourth century after 312ish were really bent on persecuting all of its enemies, one would think the Gnostics to be a prime target. It seems they weren’t. My theory about Gnostics in the fourth century is that, since the Empire was favouring catholic Christianity, most of them just converted (a lot like pagan aristocrats), and their religious meetings and leaders couldn’t maintain themselves in the face of the growing catholic Church. That’s my theory. More of a hypothesis, really. Moving on, then, to the actual groups targeted by the Constantinian Church. When Constantine secured his position as Emperor in the West after the Battle of the Milvian Bridge (28 October, 312), one of the things he wanted to do was clean up the affairs of his new-found religion. So he got a council together to deal with the North African Donatist Schism. This council was headed by the Bishop of Rome, and Rome decided in favour of, for want of a better word, we would call catholic Christianity in North Africa — although doctrinally they and the Donatists are not too far apart. The fate of the Donatists was to carry on for centuries as a separate church without imperial support, and eventually being targeted by the long arm of the law in the 400s until the Arian Vandals came in the 420s and completely changed the whole shape of North African Christianity by being far more systematic and violent persecutors of non-Arians than the catholic imperial church had yet been of Arians or Donatists. The religious landscape of North Africa is unclear to me after Justinian’s reconquest in the 500s; certainly, if the post-Constantinian church ever went underground, it was in North Africa after the Caliphate conquered in the late 600s. The Arians were next. 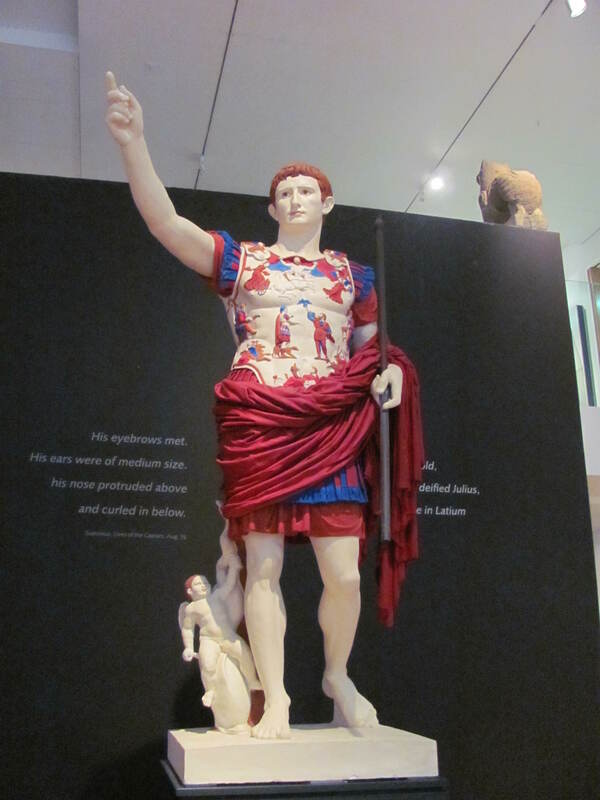 In 324, after defeating Licinius in civil war, Constantine found himself emperor of the entire Roman world. One of his early moves was to try and clean house in the eastern churches as he had in the West. When the presbyter Arius wouldn’t stop saying things that Constantine thought to be rather silly, a church council was put together to deal with the matter. They met at Nicaea and approved a doctrinal statement you can read here. This statement of faith is one with which the groups who believe that the Nicene Church persecuted ‘true’ believers can get behind. It confesses the full divinity of Our Lord and Saviour Jesus Christ without qualification. Arianism, on the other hand, preaches that Jesus is not fully divine but only like the Father and that he exists entirely in time, which would make him a lot like us. Which was kind of the point, but the Nicene argument is that what we precisely need is someone who is not like us (although, like us at the same time; hence Ephesus I and Chalcedon/Constantinople II). Then came … Athanasius?? And here’s where Constantine’s church policy gets really messy for all involved, and why imperial favour is not necessarily good for the Church. Arius claimed to have made a full recovery from his heresy to Constantine, but his repentance did not meet the requirements of his bishop, Athanasius of Alexandria (saint of the week here). So Athanasius, not for the last time, found himself in exile — Athanasius, the staunchest defender of Nicene Christianity, found himself exiled by an emperor who was promoting Nicaea. This is because Constantine’s church policy was mostly about keeping the peace and finding unity at prices sometimes too high for his bishops. Debates ranged and things went back and forth for much of the fourth century between different kinds of Arians and different kinds of Nicenes and different levels of commitment on the part of the emperors. Eventually, in 381, under the Emperor Theodosius I, Nicene Christianity gained its victory at the First Council of Constantinople, whose version of the Creed I’ve translated here. Interestingly enough, one of the victims of politics-meets-church was Gregory of Nazianzus, a Nicene who felt that Constantinople I didn’t go far enough. He went from Bishop of Constantinople to Bishop of a Cappadocian Backwater in no time at all. 381 is a potentially important date. Around this time, Theodosius I promulgated his anti-pagan, anti-heretical laws that banned all sacrifices and removed the right to assembly and worship from heretical groups. To what extent such decrees were implemented is an interesting question, given that Justinian I (r. 527-565) hired John of Ephesus to clear up pagan activities in Constantinople. Earlier, in the 420s, Archbishop Nestorius went on his own heretic-hunt in Constantinople that endeared him to no one. Next time: Groups targeted by the Church from the late 300s onwards. 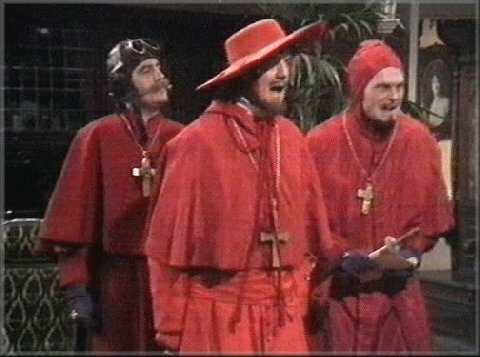 Part four: Also, the Inquisition (Spanish an otherwise; did you expect that?). And thoughts on ecclesiastical-governmental relations at large.